Diced small child with a side order of vegetables. Happy birthday! He seems content. I'm happy for him. You have some sort of hidden (not so hidden) hatred towards Knut? I don't like bears. Except for Yogi, he's fine. I made the mistake of listening to the audio of that guy and his girlfriend who got eaten by bears in Canada (??) a few years ago. I don't think I recall that story, but we do have a lot of bears here. I won't bring it up anymore. I'm just kidding. Sort of. Bears are scary. Okay, just checked. It happened in Alaska. The guy was a wildlife documentary maker called Timothy Treadwell. Hmmm, I could probably handle looking at bears from something like that buggy. Maybe. It also starts at about $3000.00. I'll just wait until Oprah takes 10000 people with her to Canada and hope for the best then. Knut has kicked the bucket. 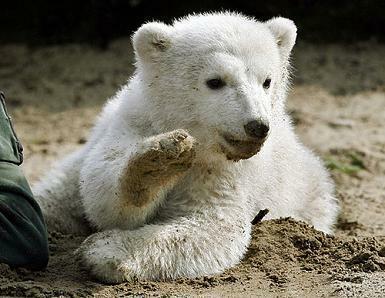 Knut the polar bear, who became world famous after he was hand-reared by keepers after his mother rejected him, has died at the age of four. A spokesman for Berlin zoo, where Knut was kept, said the bear was found floating in the pool inside his enclosure. Bear keeper Heiner Kloes said the cause of death was not known, and a post-mortem examination would be held. In captivity, polar bears can live until they are about 30 years old. Berlin Mayor Klaus Wowereit called Knut's death awful. "We all held him so dearly. 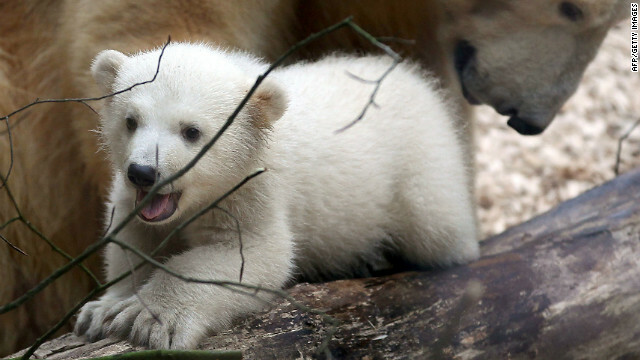 He was the star of the Berlin zoos," Mr Wowereit told BZ newspaper. 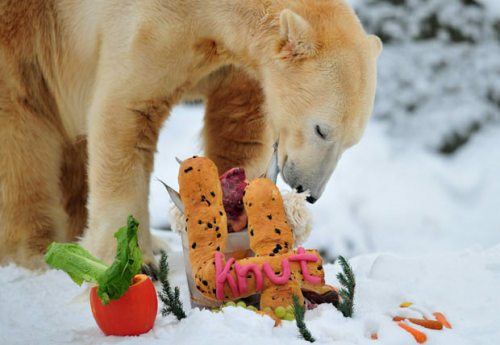 Knut became world-famous after his birth in 2006, as news of his unusual upbringing emerged. In 2007, Knut generated more than 5m (£4.4m; $7m) euros in extra income for Berlin zoo, from the sale of tickets and Knut-branded merchandise. As his fame grew, a row over the royalties from the bear's popularity erupted between Berlin Zoo and Neumuenster Zoo, where he was born. Eventually Berlin Zoo agreed to pay 430,000 euros to compensate Neumuenster. My world is crashing down around me. There's a YouTube vid of Knut's last moments. It's very hard to watch. (He obviously had a seizure of some sort, ... that's quite clear). Now the autopsy has come out saying that it revealed "brain changes," so it would seem it would go along with having a seizure. I want to know Ryan's thoughts about unfortunate Til, the earless celebrity bunny who was stepped on and killed by a cameraman. The fate of 17-day-old Til, a bunny with a genetic defect, was plastered across German newspapers on Thursday, the same day a small zoo in Saxony was to have presented him to the world at a press conference. The cameraman told Bild newspaper he hadn't seen Til, who had buried himself in hay, when he took the fateful step backward Wednesday. Zoo director Uwe Dempewolf tells Spiegel magazine Til didn't suffer: "It was a direct hit."